Antonio DiStefano first appears in the Painesville, Ohio, area in 1917. Antonio DiStefano was born on July 31, 1886, in Italy. 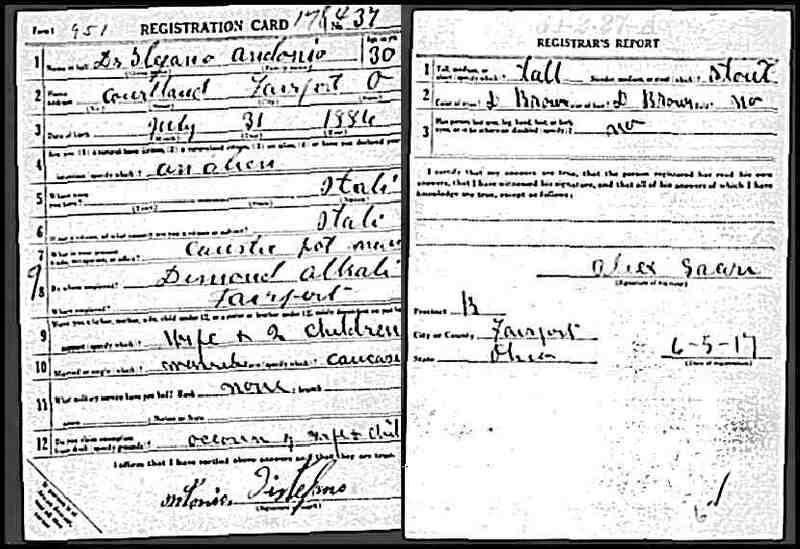 He registered for the World War I Draft on June 5, 1917. He was living at Courtland Street, Fairport Harbor, Lake County, Ohio. Antonio was employed by the Diamond Alkali Company. He had a wife and two children living in Italy. Mr. DiStefano’s place of birth is not known.